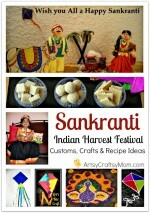 This week was sankranti special at the craft class. 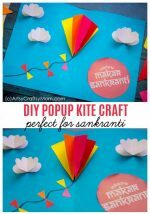 Makar Sankranti is one of the most auspicious occasions for the Hindus, and is celebrated in almost all parts of the country in myriad cultural forms, with great devotion, fervour and gaiety. It is a harvest festival. Makar Sankranti is the day when the glorious Sun-God begins its ascendancy and entry into the Northern Hemisphere and thus it signifies an event wherein the Sun-God seems to remind their children that ‘Tamaso Ma Jyotir Gamaya’- may you go higher and higher, to more & more Light and never to Darkness. To Hindus, the Sun stands for knowledge, spiritual light and wisdom. Makar Sankranti signifies that we should turn away from the darkness of delusion in which we live, and begin to enjoy a new life with bright light within us to shine brighter and brighter. We should gradually begin to grow in purity, wisdom, and knowledge, even as the Sun does from the Day of Makar Sankranti.On this day children fly kites. To mark this occasion, we made some kites in our class. Cut along the folded edge and then draw a line a line as shown in pic 3. Cut along this edge to form an elongated diamond shape. Turn upside down and Cut the straws and paste the straws to length. – first horizontally & then vertically. String a cotton thread through the vertical straw and tie it to form a triangle. 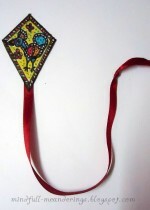 Embellish with paper ribbons for the tail and any other design that you would like. Here are the happy faces. 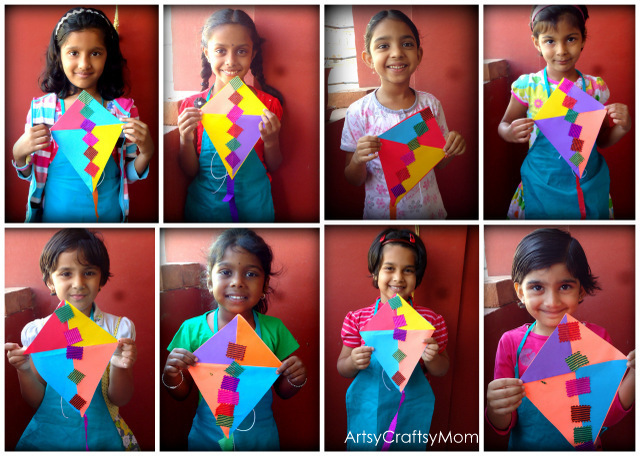 Lovely kites…and fantastic idea to get creative with kids…!! Lovely! My son came home from school with a kite too. Love the diamond centre… awesome! Wonderful idea ! But did anyone test flying these kites ? Do they fly ?